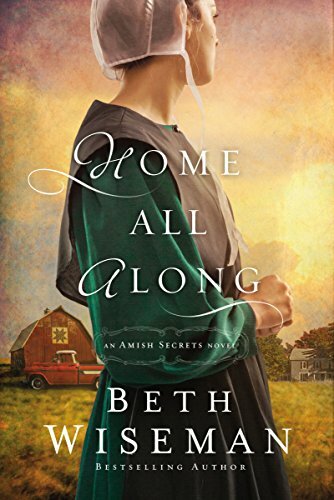 Home All Along ,Book 3 in the Amish Secret Series by Beth Wiseman is not your typical novel about an Englisher living among the Amish. Charlotte has made a home for herself in her late brother Ethan's house. It is quite a change from her first visit, posing as an Amish woman searching for answers about Ethan's death. Life has had far too many ups and downs for such a young woman. As a child she and Ethan lived in foster homes with time off to be returned home now and then when their parents were released from rehab or jail. And now, she just wants to live quietly, join the church and marry Daniel. The past, however, has a way of stirring things up. For Charlotte, the past included a sister she hadn't thought of for a very long time. As a baby, Charlotte's sister Andrea was also placed in foster care but never saw her family again. Until, that is, when she tracked Charlotte down at their mother's funeral. It didn't take long for her to get herself moved in with Charlotte, along with her baby. For Charlotte, having her family near was a blessing and she was determined to make them a home together. In the beginning, it seems the book is about Charlotte and Daniel's love for each other. It is more than that, however, as three families grapple with love, death, illness and how difficult it is to understand God's will under the modern marvels of medicine. The questions Beth Wiseman raises in this novel are complex. I liked how the decisions were made. Sometimes we need someone to nearly hit us with a two by four to wake us up about putting others needs before our desires. Daniel family struggles with major family decisions. He loves Charlotte but is pulling away from her. Charlotte's beloved friend and motherly mentor Lena faces yet another bout of breast cancer. Andrea is slowly learning from Charlotte's love that life can be different. So many trials are faced in this book yet through it all. Is there enough faith and love for Charlotte and her Daniel to marry? This book is for readers who are looking for characters who are resilient and not willing to give up when life gets hard. Once again, Beth Wiseman has delivered! with hope to repair the past brings two sisters to Lancaster County to visit their mother's sister. Their memories of Aunt Sylvia are barely visible yet something stirs Angela's heart to make the journey with her sister Rose. Memories of their mother linger within the walls of Sylvia's home. This is the home where their grandparents lived and raised their family. Within the coves of A Letter from Lancaster County, Kate Lloyd skillfully writes of the journey begun with duty and spite. Angela and Rose grew up in the same house yet are worlds apart. Angela is married to a successful attorney and her two children are of a certain age where they no longer need their doting mother managing their busy schedules. Rose is single, owns her own business and pinches pennies. The simplicity of Sylvia's life seems to be at the center of the story, yet the author wrote the story from the perspective of Rose and Angela. 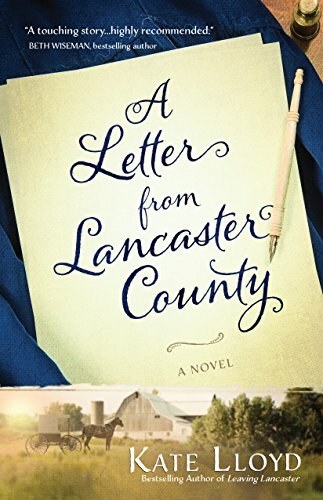 Chapter by chapter, the events of this short trip to Lancaster County unfold through the eyes of each woman. Their lives seem to parallel the lives of their aunt and their mother. Sylvia's health is failing and the letter she wrote to her nieces was written with fervent hope to repair past tensions she had with her own sister. She is a delightful woman and it is through her quiet wisdom that she lets her nieces alone to discover what she had lost with her own sister. The past is a good teacher and regret can lead to bitterness. Finding a photograph with their mother and Sylvia triggers a change that opens their hearts stirring a change within Angela and Rose. It is as though they were awakened to how they could change their lives to what was meant to be. We are rarely granted a glimpse into the lives of our mothers as young women. We think of them as mother, not a young woman who had dreams. Angela and Rose came to visit their aunt out of duty. They would choose a memento from the family home and go back to their lives in Seattle. Or would they? As I read this book I thought of how life can be so different for people who were raised the same within the walls of the same home. One daughter does exactly what is expected and the other is bent on carving her niche in her own way. One can't help but wonder what causes this and yet for my own part, I had five brothers and five sisters growing up. It amazes me how we can each remember an event so differently. As I read the book I was taken in by both Rose and Angela. I felt I was with them on this journey, a reminder of trips I have taken with my own sisters. This is a book worth adding to your collection. The simplicity of Sylvia's life and how she quietly accepts her nieces, each for who she is is wonderful! 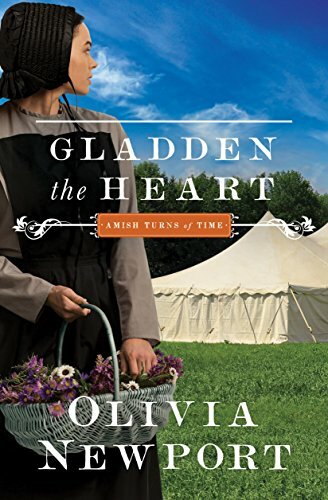 Gladden the Heart by Olivia Newport, gives us a glimpse of the revivalism movement in America in 1847. When our story begins, Susanna Hooley is gathering roots and wildflowers to create dyes for fabric. In the clearing is a large tent for one of Reverend Braxton's revival meetings. The hot July afternoon brought a large crowd to hear her friend Patsy's father preaching a powerful message. Susanna's Amish community was not immune to the impassioned messages that poured from the good reverend's tongue. Such things were not heard in the long three hour meetings she experienced every other Sunday. Intrigued by what she heard, coupled with seeing so many Amish from her district, she steeled herself away. Not long after this, however, her life is turned upside down by her cousin Noah. During a normal conversation on an ordinary Sunday afternoon, he fell under a spell. The normally quiet man began to preach from the book of John. His message was so powerful and strong, many gathered to hear, including the bishop. The bishop fully believes that Noah is wakeful and willful with his preaching and orders him to stop. Noah was unaware that he gave such stirring sermons straight from the bible. When he woke from his trances he was exhausted and slept for hours. It isn't long before Susanna discovers Noah's unpredictable behavior has happened before. She is determined to help Noah's wife Phoebe keep him safe, disregarding opinions from her mother, the bishop and even Adam Yotter, her intended. The situation becomes a controversy as many in the community begin congregating at Noah's house daily to hear him preach. It is only when a near tragedy occurs that Susanna, Adam, his uncle and the bishop come together to help Noah and find common ground. I enjoyed this book. Many people were yearning for meaningful spiritual experiences they didn't find in their usual long, dry services. A powerful message such as those delivered under the big tent seemed to offer more. While traditional clergy may have argued that nobody could gauge a true enlightened experience, I disagree. How can anyone know what another truly experiences. The human experience is amazing and sometimes the true picture cannot be told by looking at someone. The sleeping preacher phenomenon was real, something I was unaware of. In the midst of this time in America, great changes were taking place. It is ironic that even the Amish, who lived separate from others would experience such things. Enlightening. Melody Carlson is a writer for all seasons. 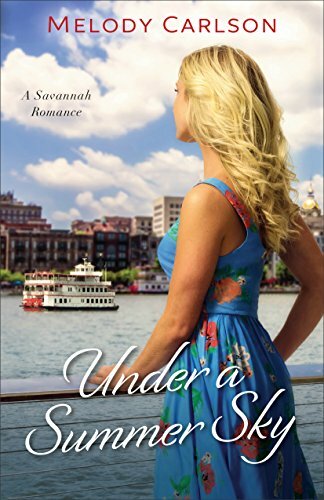 Under A Summer Sky is a wonderful addition for summer reading. Travel first class to Savanna this Summer! Vicariously, of course with Nicole Anderson, who leaves her Seattle home to manage an art gallery for an old family friend. The gallery is owned by Vivian Graham, her mother's best friend through school. While growing up, summer vacations were often spent with the Graham family. Nicole and her sister Kate spent a lot of time with the sons Alex and Ryan. Arriving in Savanna, Nicole finds she is one step ahead of her old life as a high school art teacher. Staying in the Graham home for the summer home is a dream and when she steps into the gallery she feels like she has stepped into her true calling. Except, of course, for her snarky coworker, Amyra, an unhappy woman who seems willing to go the extra mile to make things unpleasant. Determined to make things work, Nicole maintains a positive attitude under pressure and begins to find her niche in the gallery business. It doesn't take long for her to put her own successful stamp on the business. Nicole presents a positive impact on a situation that could be tough. I found her character admirable. About the second night of her stay she heard unmistakable noises from the attic. She called on Ryan to help her investigate only to find Alex's daughter Bernie camping out in protest to her parents pending divorce. With great aplomb, our heroine embraces the girl in a positive way by allowing her to stay in the home and mentoring her at the gallery. The way the author characterized Nicole makes her such a good role model for the other young women in the story. As a single woman, of course there is romance for Nicole and I went back and forth on who I wanted her to choose in the end. The handsome Alex, who she secretly had a crush on as a teen or younger brother Ryan, the former nerd, who may be more than meets the eye. Melody Carlson once again played this well and I liked the ending very much. Savanna in the summer, romance, patience and finding your true calling are woven together in this wonderful summer novel. I recommend it as an addition to any beach bag or perhaps in that carry on bag you'll stow under your seat as you fly away for your summer vacation!